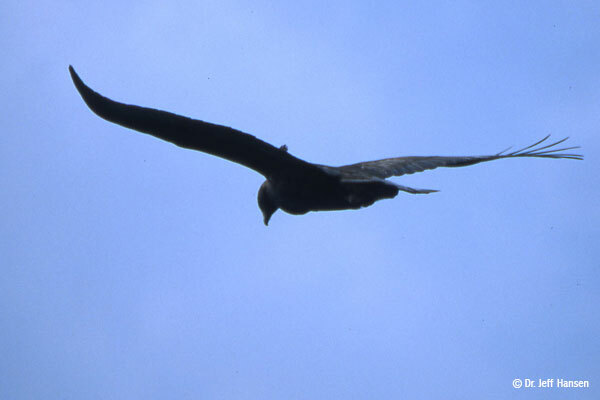 During spring and summer of 1997 and 1998, Scott & Cooper conducted a distribution survey of birds and associated habitats of the Puente-Chino Hills for the Mountains Recreation and Conservation Authority. From over 300 stationary points and nearly 50 walking transects, they recorded evidence of breeding for nearly 100 bird species, including such localized and declining taxa as Northern Harrier, Golden Eagle, Prairie Falcon, White tailed Kite, Cactus Wren, Least Bell’s Vireo, Loggerhead Shrike, Homed Lark, California Gnatcatcher, Yellow Warbler, Yellow breasted Chat, Grasshopper, Bell’s Sage and Rufous crowned sparrows, and Tricolored Blackbird. The researchers documented widespread nesting of Say’s Phoebe, a species recently rediscovered as breeding in Southwestern California. 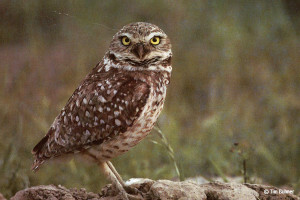 The surveys essentially confirm the recent extirpation of Burrowing Owl in the region, a species common in the early 1980s last recorded in 1993. The exotic and semi-native grasslands of the Puente-Chino Hills may represent their greatest contribution to the breeding bird community of coastal Southern California, as so much of this habitat has been permanently lost to urbanization. Species restricted to grasslands were probably the most restricted in distribution, occurring in three main areas, the Shell Property east to Brea Canyon/57 Freeway, Upper Tonner Canyon (vic. of San Bernardino/Los Angeles Co. line), and in and around Chino Hills State Park. Grasslands in the western portion of the study area were generally lacking several species, as were smaller patches and many of those isolated by development. Land purchases that augment these regions (i.e. vic. Shell property, land south of Los Serranos) would maximize protection for species like Grasshopper Sparrow, whose breeding populations have been drastically reduced in Southern California. 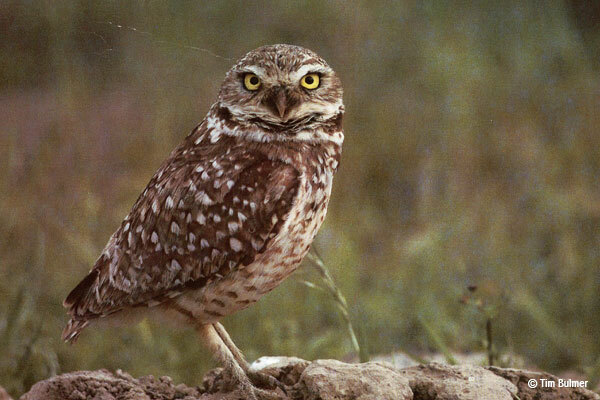 Unlike woodland and chaparral species which are widespread in appropriate habitats throughout the study area, several grassland species, particularly wide ranging raptors, were mainly confined to the largest expanses of grassland in San Bernardino County. The most extensive and least disturbed examples of another important habitat, Coastal Sage Scrub (CSS), was found along the southern flank of the Puente and Chino Hills, mainly in and adjacent to oil property land in northeast Brea and northwestern Yorba Linda. One of the most “significant” bird species of the study area, Federally Threatened California Gnatcatcher, is essentially restricted to this area, absent from less extensive Coastal Sage Scrub in nearby Chino Hills State Park. Other CSS species, including Cactus Wren and Rufous crowned Sparrow, were found scattered throughout the study area from Yorba Linda to Whittier, including in the case of the wren, narrow portions of the Corridor and in isolated patches of habitat on the urban edge. Riparian species were largely confined to wooded drainages within Chino Hills State Park, Tonner Canyon, Carbon Canyon Regional Park, and the Santa Ana River from Prado Dam west through Featherly Regional Park. Least Bell’s Vireo, a Federally Endangered species, was found primarily along the Santa Ana River in Riverside County and in Carbon Canyon Regional Park. Other riparian obligate species were found to be widespread but patchily distributed, occasionally persisting in small, isolated willow thickets not overrun by exotic species (e.g. Sycamore Canyon, Whittier). 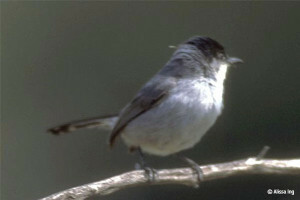 Woodland species were found to be most diverse in the north central portion of the study area, from the northern flank of the hills in Rowland Heights east to Diamond Bar. Though it was not surveyed, the former Firestone Boy Scout Reservation may protect the least disturbed and most extensive examples of oak and oak-walnut woodland in the study area. Since the woodland species of the Puente-Chino Hills are generally widespread in the mountains of Southern California, their preservation in the lowlands is primarily of local, rather than regional, conservation importance. Similarly, most of the chaparral restricted birds are not only common and widespread within the study area, but also in the San Gabriel and Santa Ana Mountains to the north and south. This is in contrast to species dependent upon Coastal Sage Scrub and extensive grasslands, many of which occur exclusively in cismontane lowlands.